When it comes to determining whether one spouse will owe alimony to the other upon the dissolution of their marriage, courts take a number of factors into account, including each party’s earning ability, work history, and whether one spouse is primarily responsible for childcare. 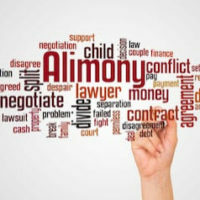 Obtaining a vocational evaluation can be crucial when deciding how much alimony one party could be eligible to receive, so if you and your spouse have decided to file for divorce and you are interested in seeking alimony from your spouse, it is critical to contact an experienced alimony attorney who can assist you. Vocational experts also take external economic factors into account, including the current state of the economic and local job availability. These types of evaluations can help judges gain a true understanding of what both parties can reasonably be expected to earn upon divorce. This is important because this information can be used when establishing alimony awards, which are often based not only on a person’s actual income, but also his or her earning potential. In the event that your spouse is attempting to get out of paying alimony by stating that his or her income is not sufficient to support both of you, you can provide the evaluation given by the vocational evaluation expert as to your spouse’s real earning potential. Alternatively, if you are unable to make as much as you did in the past due to a health issue or disability, the vocational evaluation expert can explain to the court how that illness affects your ability to provide for yourself and your soon to be former spouse. In either case, it may be necessary to obtain the opinion of two vocational evaluation experts, especially if your former spouse is being dishonest about his or her income, or is claiming that you have a higher income than you actually do. Receiving alimony payments from one’s former spouse is often the only way for a recently divorced person to pay for household expenses, rent, and continuing education or training. 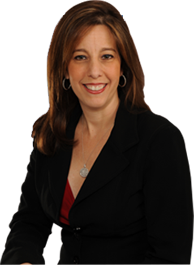 Unfortunately, even when it is warranted, it can be difficult to obtain an alimony award, so if you have questions for a Fort Lauderdale divorce lawyer about whether or not you qualify for alimony, please contact Sandra Bonfiglio, P.A. for a free case evaluation. Our legal team can be reached at 954-945-7591 or via online message.